Save up to 6% in NYC broker commission by listing For Sale by Owner in NYC. Seller closing costs in NYC are high enough, so why add another 6% to your bill by hiring a full-service listing agent? Hauseit’s NYC Flat Fee MLS product lists your home on the RLS (REBNY Listing Service) broker database, StreetEasy, Zillow, Trulia, Brownstoner and many more for 0% seller’s broker commission. Our NYC focused Flat Fee MLS (RLS) listing service uses the same listing syndication technology as traditional, full-service agents who charge 6% in commission. Your FSBO listing will receive the same marketing exposure as if you had hired and paid 6% to a traditional listing agent. 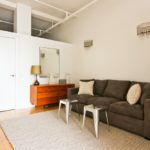 Why Sell For Sale by Owner in NYC? Save thousands in commission by listing with a full-service, REBNY member listing agent in New York City for just 1% commission. Why should you have to pay 6% just because you don’t have the time or motivation to sell FSBO in NYC? Seller closing costs in NYC are high enough, so why give away another 6% of your sale proceeds by hiring a full-service listing agent? NYC’s antiquated brokerage industry continues to charge sellers 6%, even though commissions are falling everywhere else in the country. Real estate commissions in London are less than half of what they are in NYC, despite the similarities of the two cities. Your typical full-service brokerage in NYC will offer you countless excuses for why they are justified in charging you the full 6% commission. They will claim that their marketing is top notch and that they have a list of buyers already lined up to purchase your property. In fact, New York City’s antiquated brokerage industry is so adamant about charging 6% that they often flat-out refuse to negotiate down their commissions. What these full-commission brokerages fail to mention is that you can achieve the same marketing exposure by using Hauseit’s Flat Fee MLS listing package. Our NYC Flat-Fee MLS (RLS) listing service uses the same listing syndication technology as traditional, full-service agents, which means that your listing receives the same marketing exposure as if you had hired and paid 6% to a traditional listing agent. There’s a reason why we’ve listed $300+ million of real estate in NYC. Our service is overwhelmingly effective, and the proven results our sellers have experienced speak louder than the scare tactics and lies of NYC brokers. As a FSBO seller in New York City, there is no greater priority than ensuring that your listing is correctly marketed to both unrepresented and represented buyers. Many unsuspecting FSBO sellers in NYC fail because they purchase a generic ‘Flat Fee MLS’ package which is not designed specifically for New York City. Hauseit’s New York City Flat Fee MLS package is specifically designed for FSBO sellers in New York City. We list your home in REBNY’s RLS Database and all RLS vendors such as OLR (On-Line Residential – NYC Broker Database), Nestio (NYC Broker Database), RealtyMX (NYC Broker Database), RealPlus (NYC Broker Database) as well as brokerage specific databases such as Taxi and Limo. Your home will also be listed on popular consumer websites such as StreetEasy, Agorafy, Placebee, Padlister, NYBits, Naked Apartments, Hotpads, CitySpade, Zillow and Trulia. Because we use the same listing syndication technology as full-service brokers, our NYC Flat Fee RLS package offers your listing the exact same exposure as if you’d hired a full-service NYC listing agent and paid 6% in commission. Over 75% of buyers are represented by buyer’s agents in New York City. If you fail to effectively co-broke with buyer’s brokers in NYC, it means that you are marketing your listing to just 25% of potential buyers. Restricting the number of buyers who are looking at your listing will result in less traffic, fewer offers and ultimately a lower sale price if you happen to sell at all. Buyer’s agents in NYC habitually avoid FSBO listings because they are inherently riskier. When there are thousands of broker-listed properties with documented commissions posted in the RLS broker database, why would a buyer’s agent send his or her buyer to a FSBO listing and risk being paid less commission or none at all? Our NYC Flat Fee MLS (RLS) package solves this fundamental trust issue by posting your listing in the RLS broker database. Your listing will appear as a traditional broker-listed property in RLS, which encourages buyer’s agents to send their buyers your way. Thousands of buyer’s agents in NYC also use RLS to search for and directly send listings to buyers. By being listed in RLS, your listing will therefore receive significantly more exposure to the city’s army of buyer brokers. Hauseit’s NYC Flat Fee MLS listing service allows you to effectively market to the 75% of buyers who are represented by buyer’s agents in New York City. Traditional FSBO sellers in NYC are the most popular target for broker harassment and solicitation. By feeding you a slew of lies and misinformation, broker harassment may cause you to lose confidence, give-up or needlessly agree to pay 6% in commission to a traditional NYC listing agent. Our NYC Flat-Fee MLS (RLS) listing service fully eliminates the scourge of NYC broker harassment, allowing you to focus on finding a buyer and closing your deal. How do we eliminate broker harassment? When you list FSBO through our New York City Flat-Fee MLS package, your listing will appear as a traditional, agent-listed property in RLS and everywhere online. Agents will have no reason to solicit you because it will already appear that you’ve signed an exclusive listing agreement. The agents who solicit FSBO sellers in NYC are without a doubt the least successful and most desperate brokers. Wouldn’t it be nice if you could focus on your sale and avoid hearing the NYC real estate agent lies spewed by the brokers and salespeople who don’t have any buyers for your listing? Listing FSBO in NYC through Hauseit will allow you to eliminate the distracting broker solicitation and harassment which was a constant source of frustration under the antiquated For Sale by Owner method of the past. Need assistance with open houses? 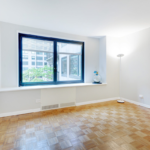 As a Hauseit NYC For Sale by Owner seller, you are eligible for two complementary, managed open houses so you can save time, enjoy your weekends and minimize broker solicitation. A professional will run the entire open house on your behalf, managing a sign-in sheet, greeting guests and taking note of any follow-up questions. You will be provided with a copy of the sign-in sheet as well as a summary of any questions and follow-ups at the conclusion of the open house. Once you’ve signed-up with us, you may request a complimentary, two hour open house at any time. Open house staffing is subject to availability and advance notice, however we do our very best to accommodate! Need more than two open houses? We offer the ability to rent an open house agent for a low, flat fee. 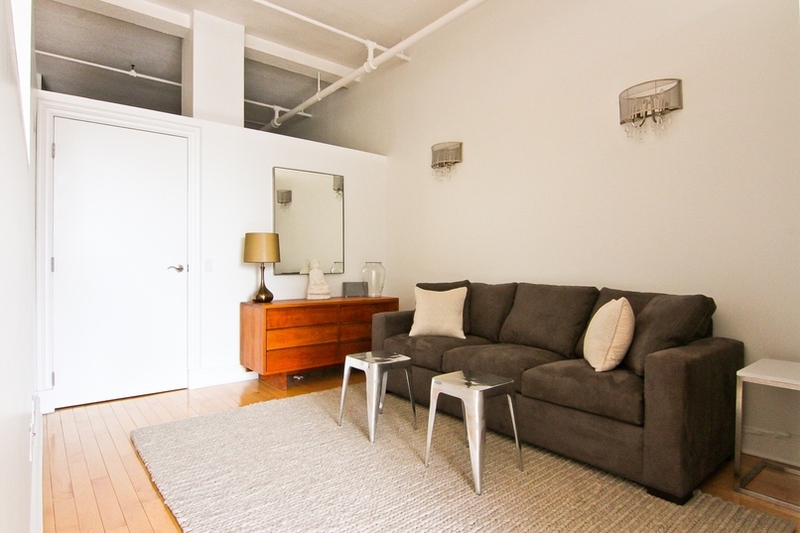 Hauseit’s NYC Flat Fee MLS listing service includes two complimentary open houses. Use them to save time, enjoy your weekends and avoid in-person broker solicitation. Reputation matters in everything, but reputation matters even more in NYC real estate. Working with Hauseit means you are working with NYC’s largest and most trusted For Sale by Owner company. We’ve listed over $300 million of real estate in New York City and have over 150 positive reviews online. Before we opened for business, selling FSBO in NYC was considered to be an impossible task. The brave sellers who attempted to list FSBO were bombarded with broker harassment, and buyer’s agents deprived these sellers of buyers by actively boycotting FSBO listings. The result? NYC was believed to be the most difficult FSBO market in the entire country which was impossible to crack. Fortunately, times have changed. Selling For Sale by Owner in NYC is now a highly routine and achievable endeavor for anyone who has time and does his or her homework beforehand. Work with NYC’s largest and most trusted For Sale by Owner company. Hauseit’s track record is second to none, and reputation means everything in NYC real estate market. As the largest FSBO company in NYC, we’ve saved sellers millions of dollars in commission since our launch in 2014. We’ve amassed over 150 positive reviews online, and our reputation is second to none. 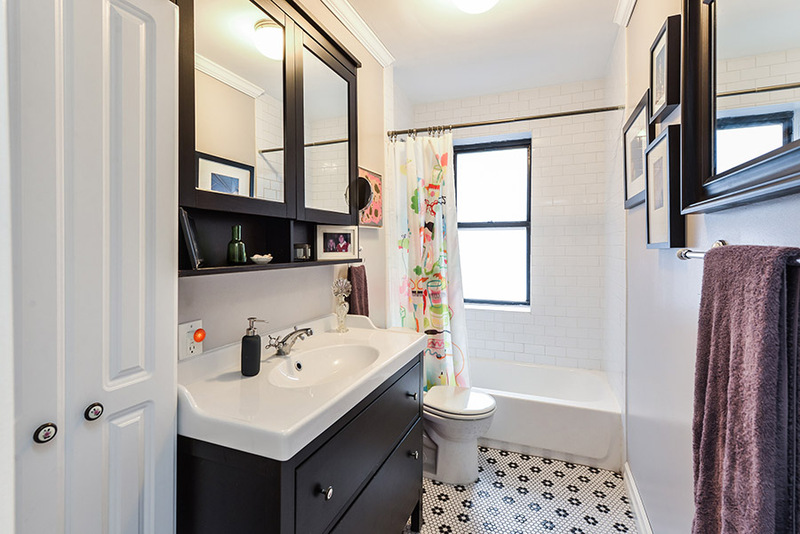 Sam’s two bedroom condo in Greenpoint, Brooklyn sold in under a week for $50,000 above the original asking price of $1,000,000 after being put on the market without a traditional full service NYC listing agent. Sam’s listing had full access to both unrepresented buyers as well as buyers’ agents. Given the limited supply in the area and the up and coming vibe of Greenpoint, buyer inquiries started pouring in after only a few hours of being on the market. We are sure that the private deck with skyline views of Manhattan and all of NYC had something to do with it! Sam works in the bustling NYC tech industry and found a new job opportunity out in San Francisco earlier this year. Despite having enjoyed Greenpoint for many years, he decided to make the move out West and sell his NYC condo. 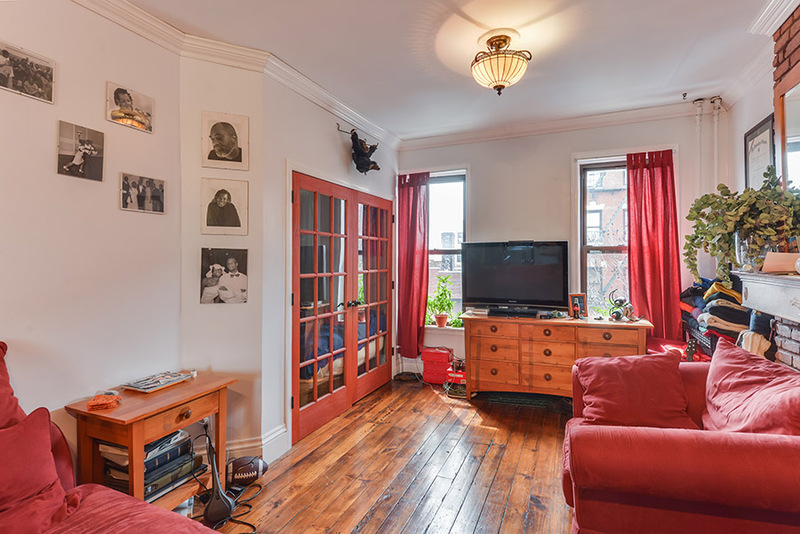 Hauseit helped Sam list and sell his Greenpoint, NYC apartment quickly and for zero percent commission. On his sale price of $1,050,000, Sam saved $63,000 by working with Hauseit. expediently sell his condo and thus make the move out to San Francisco as seamless as possible. Greenpoint, which sits on the northernmost tip of Brooklyn on the waterfront across from Manhattan, has experienced a dramatic gentrification over the past few years. The historically quiet, working-class town is now recognized as one of Brooklyn’s fastest growing neighborhoods and has been compared by many to its booming neighbor to the south, Williamsburg. Given the booming cultural and demographic trends, condo prices are now regularly north of $1,000 per square feet. John’s spectacular pre-war condo on Manhattan’s Upper West Side sold in just a few weeks to an unrepresented buyer who found the property through Hauseit’s NYC Flat-Fee MLS (RLS) listing service. John’s NYC condo on the Upper West Side was ideally located just steps from New York’s Museum of Natural History, Central Park as well as all of the major Subway lines. Even though John received tremendous interest from agents representing buyers by being listed in the RLS Broker Database, he was fortunate enough to find an unrepresented buyer through Hauseit’s listing service. Therefore, he paid ZERO commission to sell his NYC apartment. 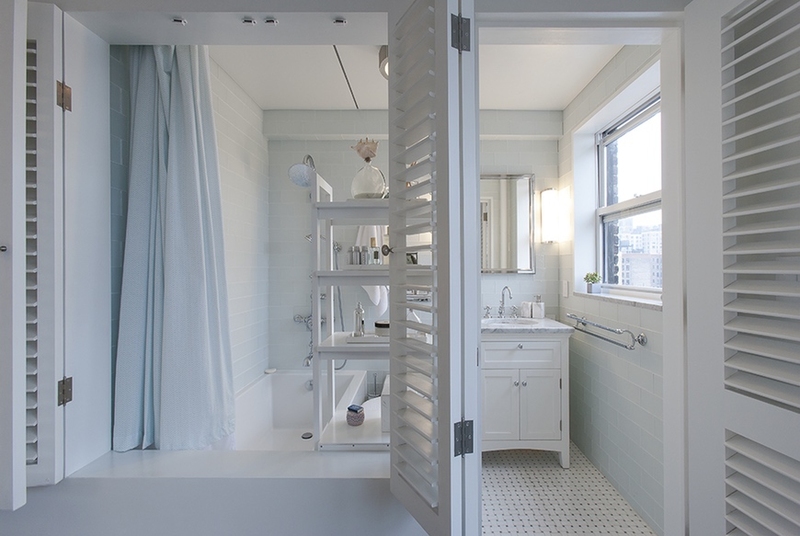 In a city where traditional commissions and closing costs can hijack 8-10% of the value of a seller’s take home profit, John definitely maximized his proceeds from the sale. He chose Hauseit to help him list his apartment For Sale By Owner because he realized that without being listed in the city’s broker databases, his willingness to offer a buyers’ agent commission would not be taken seriously by the buyers’ agents who represent 75% of NYC home buyers. NYC’s Upper West Side is a residential, tree-lined historical district of New York City which lies to the West of Central Park and sits to the East of the Hudson River. It’s also home to some of NYC’s most famous cultural establishments, including the American Museum of Natural History, Lincoln Center, and since 2008, Shake Shack. 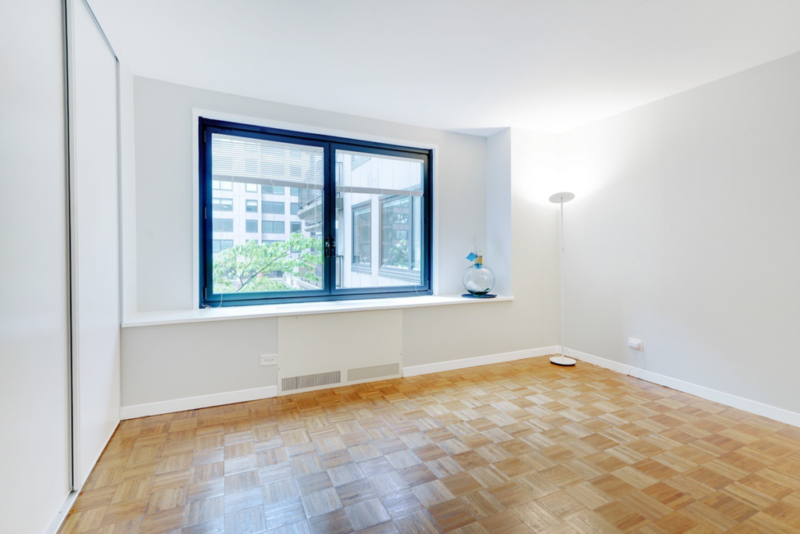 Steve’s Roosevelt Island co-op found it’s way to an unrepresented buyer after only 6 weeks on the market. That’s 4 weeks fewer than the median listing time in NYC at the time he sold the property For Sale by Owner. To top it off, Steve was able to sell the unit for 3% above asking price. Steve was a fearless NYC FSBO seller who never believed from day one that it was necessary to pay 6% to a NYC listing agent in order to sell his co-op. You can read Steve’s full Hauseit testimonial via Trustpilot. Roosevelt Island is an up and coming sub-borough of Manhattan, located on a narrow island between Manhattan and Queens on the East River. It is accessible by the Roosevelt Island Tramway and the NYC subway. Roosevelt Island will be the location of the forthcoming Cornell Tech campus due to open in 2017. Roosevelt Island is a very popular place to sell FSBO in NYC, as evidenced by the number of sellers from there who have chosen to work with Hauseit. Walter sold his Brooklyn Heights co-op for 1% above his asking price by listing with Hauseit’s New York City Flat-Fee MLS service. The incredible two bedroom unit featured a private terrace as well as a renovated, open kitchen. Because there was no buyer’s agent involved in the deal, Walter paid 0% commission on the deal. He saved over $90,000 compared to what he would have paid by listing with a traditional, full-service broker at 6% commission. 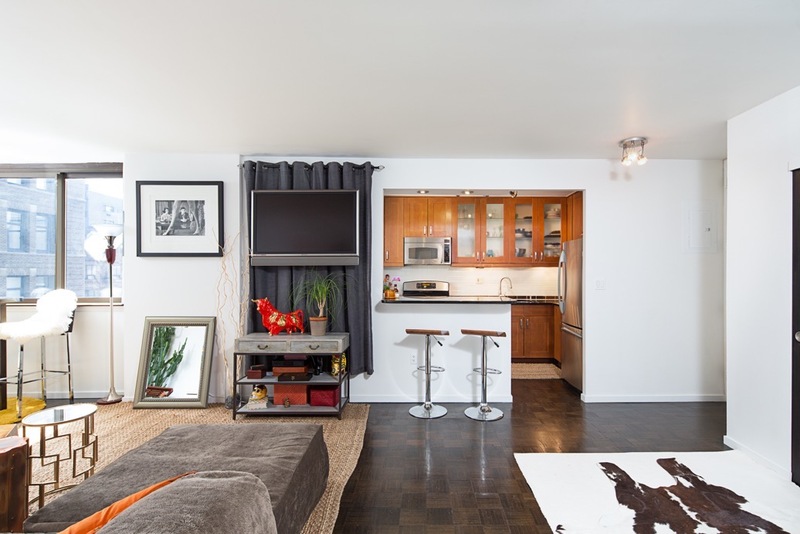 Catherine sold her luxury, 2br Greenwich Village co-op after just six weeks on the market. Despite the luxury segment slowdown in late 2016, she was able to put her unit in contract in two to three months less than the median time on the market for the $2,000,000 and above price segment. Catherine’s apartment was a fully-renovated, trophy unit on a higher floor. In addition to the open floor plan, it offered panoramic views of the Manhattan skyline and Empire State building. Mathieu initially listed via agent-assisted FSBO before converting to Hauseit’s 1% full-service listing option once he had to leave the city for a job relocation. His one bedroom co-op went into contract after just over a month on the market, and the NYC co-op board approval process went smoothy. In addition to tall ceilings and an excellent location, Mathieu’s apartment featured a beautifully renovated kitchen. As a current home owner and potential home seller in New York City, you’ve likely benefited immensely from the booming housing recovery and record breaking home values in an around New York City. If you are considering selling into today’s strong market, you should rightly deserve to reap the rewards of the home equity you’ve built up over the past few years. While these paper profits sound nice, the unfortunate reality is that the real estate commissions paid by sellers in New York City can wipe out 6% of your home equity instantly. When you combine the 6% NYC real estate commission along with your additional seller closing costs (2-3%), you as the home seller in New York City face the prospect of reaping only 90% of true value of your home. New York City brokerages have made a killing in today’s ‘Bull’ real estate market. Brokers in the city benefit from the highest median sale price in the United States along side the highest average residential real estate commission rate in the world.